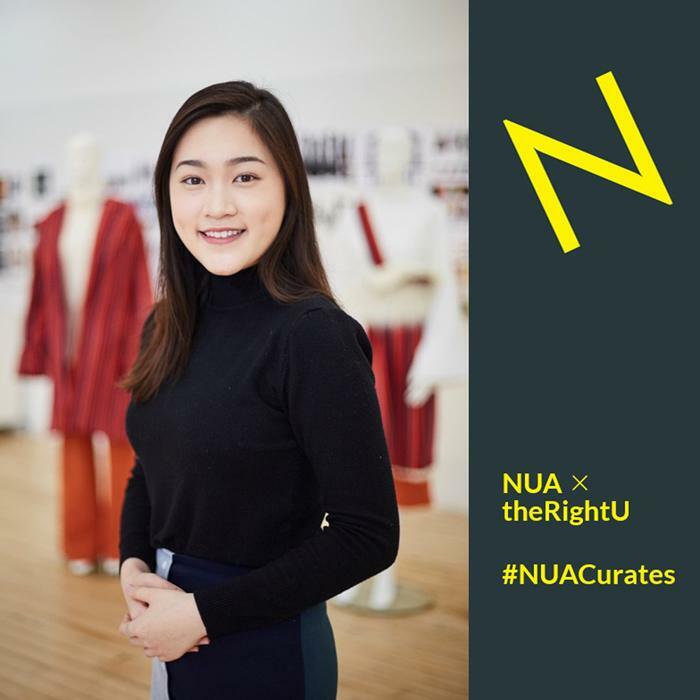 NUA Curates introduces BA (Hons) Fashion Design alumnus Louisa Chiu. In 2017 Louisa completed her degree with a showcase at Graduate Fashion Week in London. There, her six-piece final collection was showcased on the catwalk during what has become a major event in the UK fashion calendar. Louisa’s collection was inspired by the traditional crafts, colours and textures of Tibet mixed with modern elements and tailoring. Louisa’s collection is a great example of the way Norwich University of the Arts’s courses balance creativity and technical craft. During her studies, Louisa was hugely successful, including a live project where her designs were shortlisted by Hobbs London Womenswear for inclusion in their latest high street collection. By the end of her studies and exciting opportunities like these, Louisa not only learned how to apply discipline and focus, she learned to pick herself up after meeting significant challenges. www.artsthread.com/profile/louisayuentungchiu, and she shares her experiences here. You are nearly finished with your final collection; has it turned out like you’d hoped? It’s constantly changing; even in the last few days. It’s all about the details. We create sample garments, called a toile. But when you make the actual garment, something always goes wrong. Even if you’ve done it lot (and I have done a lot of toiles) something will need to be fixed. Is that a really frustrating process? It’s exciting, but very stressful. Two days ago I finished a skirt, but when I put it on the mannequin the lining rolled up. Everything was pulling! When you make a toile, you don’t insert a lining, so you don’t know what will happen until you finish the garment. If the lining goes wrong, everything has to be unpicked. When that happened I thought, I can’t look at the skirt anymore. I had to do something else. When I go back to a project like that, I ask for help from the tutors and technicians. That day a tutor helped me sort it out. They are all very helpful and give you their time – even the Course Leader… She has been teaching for so long and has so much experience. You design and make the garments in your final collection? Yes, at this University you learn to do it all. You design it, you make the pattern, you gather your samples, create toiles and then you make the final garments. Every single step is done by you and you understand each step too. I did an internship with an American clothing brand in Hong Kong, and there I worked with two girls studying fashion there. I got the sense that their experience was very different to mine because they were just learning about design. Here, you learn the creative and the technical. That’s the difference between NUA and other universities – not just those in Hong Kong. And that process is very important. Think about what I have learnt in the last three years. Of course that’s with the help of staff and everyone on the course. I am the only international in my class and everyone has been so nice to me. We get on well and help each other out, especially if there is something you can’t solve or if you want an opinion. I feel very supported. 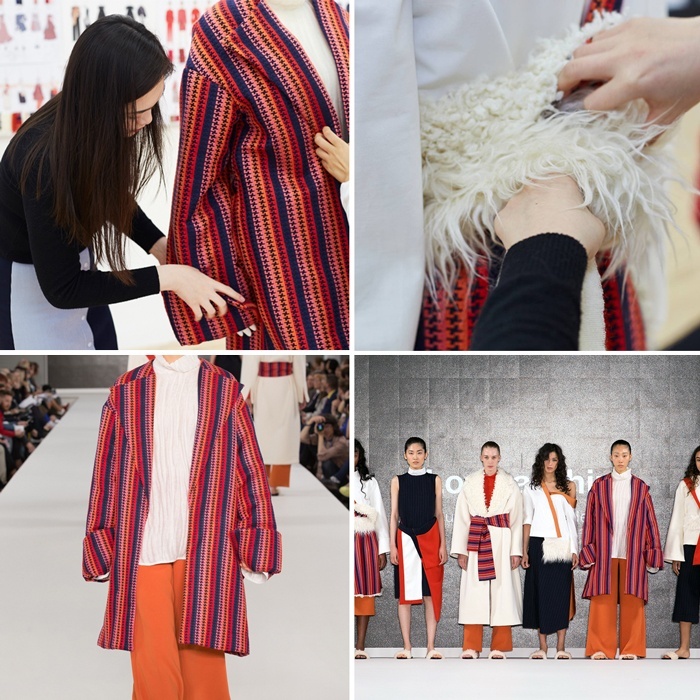 So you have had a positive experience working in the fashion studios at NUA? Yes. I think that came about after a Year Two project where we had to work together. We were divided into groups, which meant discussions and making together, and that helped us grow closer. I mean, there were arguments too, because people were used to working on their own and negotiating is a challenge, but afterwards everyone said they’d learned a lot and had grown close to people they’d never even talked to before. Now we’re like a family. That is so amazing. Five classmates have even said they’ll come and visit me in Hong Kong. They are interested in where I come from. When I first came here I was scared about the cultural differences and afraid to speak to anyone, but everyone was so nice. In Norwich people are lovely too. Like, when I wait for my bus, the old ladies come and talk to me and ask about my day. It’s not like my experience in other Western countries. Even in Hong Kong, no one talks to each other, you know? Like on public transport, people think that you are weird if you talk to them. The attitude is completely different here. Have you enjoyed working on live projects? Those are great because people from these big companies come to our studio to deliver the design brief. This year we did a Topshop project and one with Burberry. Last year, one of our clients was Hobbs Womenswear and when they came to campus to select garments they chose one of mine. I was quite surprised because I was only in Year Two. I didn’t get to the final stage, but I was shortlisted. That said, I have enjoyed the process of creating my collection more. It’s the final outcome of your hard work, and it says something about yourself. If you could give yourself a piece of advice at Year One, what advice would it be? Every day I tell myself: you can’t fix yesterday’s problem. I’d be giving up on myself if I didn’t learn from my mistakes. So, I learn from them to improve the future. I always tell myself although you are very depressed, go home, have a pizza and carry on tomorrow. Fashion courses like this one are so intense… A lot of time and investment. I can’t afford to get hung up on what happened yesterday.